Employee pulse surveys are shorter, more frequent surveys to help you keep a constant pulse on your team. Boost your company's culture, improve communication, and increase productivity with this survey template. Do you need a better way to gather employee feedback from your team? It can be a challenge to collect honest and usable feedback from your employees. There are many possible challenges and roadblocks in collecting insights from your staff, including fear of reprisal or a lack of trust that feedback will be appreciated and implemented. However, the rewards of successfully collecting and implementing employee feedback are great. Honest feedback from your team members can lead to amazing insights and spark important changes which can vastly improve your team's overall performance. 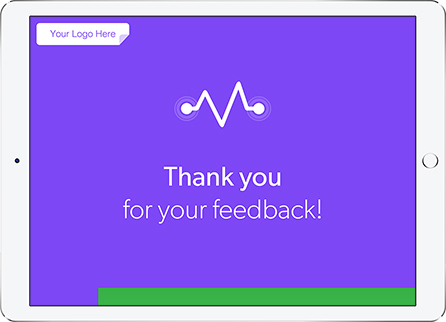 An employee pulse feedback survey is one of the best ways to collect timely and accurate feedback from your staff. With QuickTapSurvey's survey builder application, you can build and launch an employee pulse survey in minutes. Mount your tablet in a kiosk enclosure to collect data unattended. 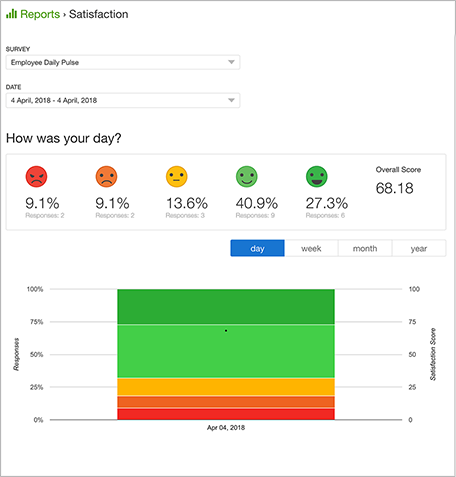 Export your response data into professional reports to analyze and act on your employee pulse feedback. Depending on the response your team members submit, you can select which questions you want to display. For instance, if a respondent indicates a low level of satisfaction, you can trigger a follow-up question requesting more feedback. 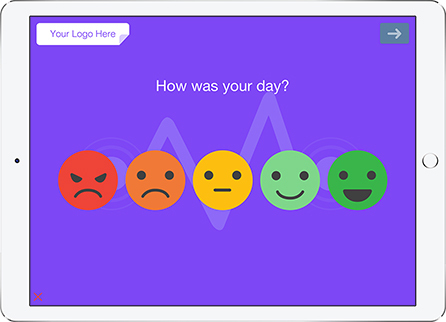 The satisfaction question type prompts your employee to indicate how happy they are with a statement or scenario. 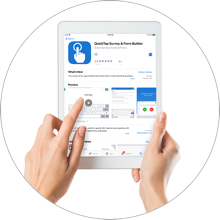 Sign up for a plan with QuickTapSurvey and get started building your employee pulse survey with our fast and easy survey builder app. Get started using this template from our template library, or start from scratch. 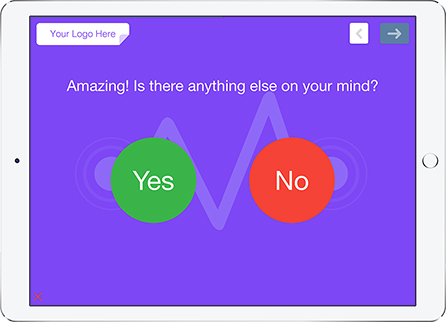 Customize the survey with your own logo, colours and background image. Download the app on your tablet and sync your survey to start collecting employee feedback. 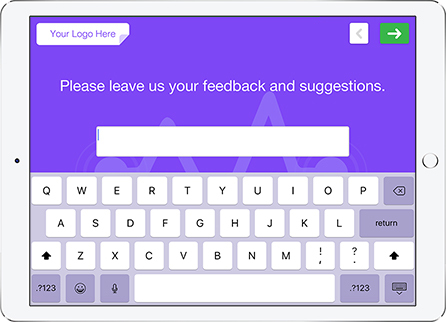 Collect employee feedback on your tablet. You can mount your tablet into a kiosk enclosure for unattended response collection. Capture data anywhere, even without an internet connection. 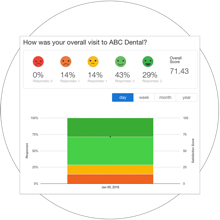 Review and analyze your response data using our powerful reporting and analytics features. Take action with your data to improve employee satisfaction. 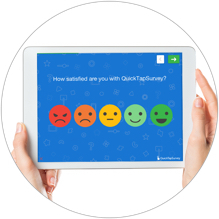 QuickTapSurvey’s advanced analytics tools can help you understand your data and take action to improve employee satisfaction! QuickTapSurvey makes it easy to take action on your data, with powerful reporting and analytics tools. 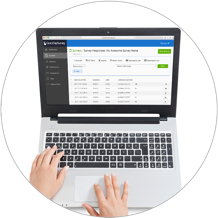 View and analyze the data you have collected and download it in multiple formats.